Each year a local business in Leavenworth, Kansas, the Candle Queen’s Candles, hosts a 5K run. The proceeds of that run are donated to a local charity/charitable cause. This year, our troop’s H.U.G.S. Duffel Bags program was nominated by members of our community for the award. There are four local charities in the competition. The business decided this year that rather than giving the entire pot to the winning charity they would divide it amongst the four groups based on which organization garnered the most “Likes” on their Facebook page. Our troop has the chance to win $4,000 that would be used solely for our H.U.G.S. program. This year, we are in the process of filling 300 bags for the Leavenworth community. Raising the $1,800 needed for the bags has been our biggest challenge. All anyone has to do is go to https://www.facebook.com/Queens5KRomp/photos/ms.c.eJw1ysENACAIA8CNDIVaZP~;FTESelxxpO0IoBh2~_2JZgdpLfCU~;lDo3VxrjeFy57vQ~;s.bps.a.440533612767546.1073741851.117120175108893/440533796100861/?type=1&theater and “Like” our photo. It’s that simple. There is no cost to us. There is no endorsement. There is a chance to win some much needed revenue to help us meet a lofty goal. What say you? Is it possible to spread the word as far and wide as possible? If you’re not familiar with it, HUGS (Heritage Girls United Giving Service) is the service arm of the American Heritage Girls Program. Service is an important piece of character development and the AHG mission that all Troops include in their yearly calendars. 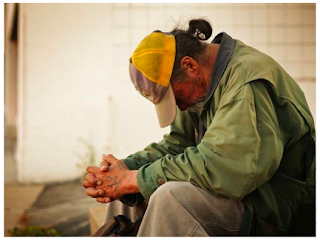 AHG’s prayer is that through our service we may make a difference in the lives of many. Remember the words of Matthew 5:16, which says, “…let your light shine before men, that they may see your good deeds and praise your Father in heaven. Did you know that AHG is a certifying organization for The President’s Volunteer Service Award, which means that we are approved to review and verify a volunteer’s hours, and nominate and distribute the President’s Volunteer Service Awards (PVSA). The President’s Volunteer Service Award is the premier volunteer awards program, encouraging United States citizens or lawfully admitted permanent residents of the United States through presidential recognition to live a life of service. Your recognition inspires others to take positive action to change the world. There are a variety of award levels and age groups that participate; awards may be earned on an annual basis and as a lifetime achievement. For more information on AHG’s participation in this program, visit the AHG website. Our American Heritage Girls Troop is hosting a food drive at the Topeka Hy-Vee (29th and Wanamaker) on Saturday, November 17th from 8am until 3pm. Be sure to stop by and donate a non-perishable food item. I also have Hy-Vee coupon books that expire at the end of December that we will sell for $3.00 each. Each coupon book has a $5.00 off when you spend $50.00 coupon. It’s a money maker for you and will help with holiday grocery shopping. Let me know if you want a coupon book. Coupon books are good at the Topeka and Lawrence stores. National Hunger and Homeless Week runs from Nov. 11 – 17. Discuss with your Troop what that means — that in the U.S., 36 million people are food-insecure (unsure where their next meal will come from), and 8.3 million live in households where at least one person is missing meals due to an absence of available food. What sort of service opportunity may be available to you next week? Can you volunteer at a food bank or soup kitchen? Hold a food drive? Or consider making Blessing Bags for the homeless — parents can keep one in the car to give to the homeless they see on street corners. Visit http://kwavs.blogspot.com/2011/05/blessing-bags-how-to.html for a list of items to consider including.